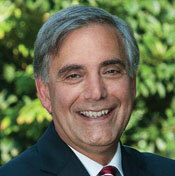 Dr. Harris Pastides is the president of the University of South Carolina, appointed in 2008. Previously, over the course of a decade, he served at the university as a vice president, dean, and professor. He is the first internal candidate to be elected president of the University of South Carolina in more than half a century. Dr. Pastides played a key role in the establishment of Health Sciences South Carolina, a consortium of the state’s research universities and leading hospital systems, and an integral part in the development of Innovista, the university’s 500-acre innovation and research district. Before joining the South Carolina faculty, he was a professor of epidemiology and chairman of the department of biostatistics and epidemiology at the University of Massachusetts at Amherst. He has also served as a director of The National Bank of South Carolina. In addition, Dr. Pastides has been a member of numerous professional organizations and civic boards, including the South Carolina Governors School for the Arts and Humanities, S.C. River Alliance, the Council on Research Policy and Graduate Education, and EngenuitySC. Dr. Pastides received his Master’s of Public Health and a PhD in Epidemiology from Yale University.